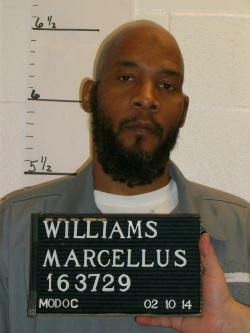 Marcellus Williams is set to die on Aug. 22. The court said it will not review the new evidence that Marcellus Williams' attorney submitted Monday, but gave no explanation why. Kent Gipson had argued that said a new test proved Williams' DNA was not found on the knife that was used in the 1998 killing of former St. Louis Post-Dispatch reporter Felicia Gayle in University City. Gipson said he plans to appeal to the U.S. Supreme Court and will ask Gov. Eric Greitens to intervene, too. He also said he was surprised with the speed in which the high court denied the stay. "Certainly something involving a claim of innocence that is this substantial, you would think they would at least write an opinion or at least a short opinion giving the reasons why they denied it, because that makes it more difficult to take it up to a higher court because they don't know exactly on what basis the ruling was made," Gipson said. Attorney General Josh Hawley's spokeswoman told The Associated Press that his office was confident Williams is guilty based on other evidence. Gov. Eric Greitens spokesman Parker Briden said in a statement that the governor is "in the process of reviewing the case with our legal team." Williams' first execution was postponed in January 2015. The 48-year-old is scheduled to be executed on Aug. 22. Department of Corrections spokesman David Owen recently said in an email that the agency is “prepared to carry out the … execution in accordance to the lethal injection protocol established in 2013.” The state uses one drug, the sedative pentobarbital, in executions, and has refused to disclose the supplier. Rachel Lippmann contributed to this report.